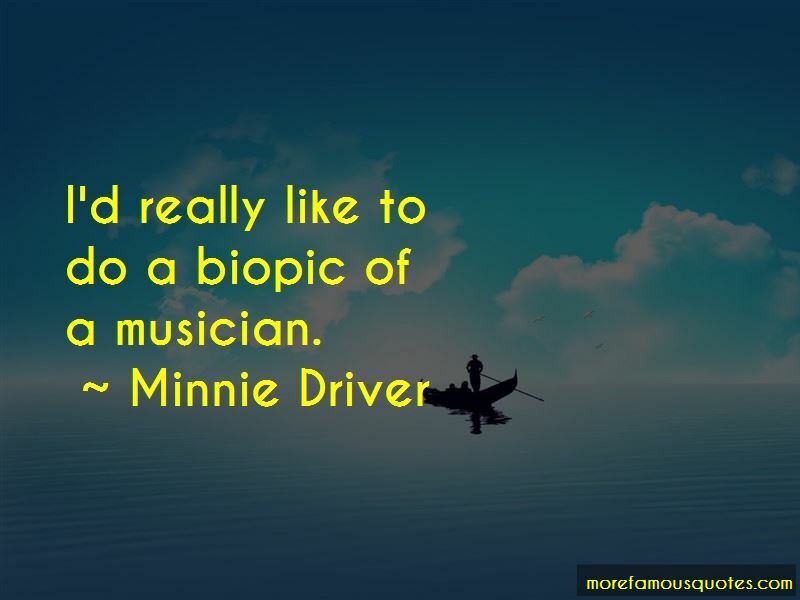 Enjoy the top 49 famous quotes, sayings and quotations by Minnie Driver. I don't know why my parents split up. I guess they just drifted apart, but I do know they stayed very good friends. The Masonic aspect of Hollywood is so bizarre. Babies are endlessly fascinating to look at and I'm obsessed about their complete and utter lack of guile. People seem to like this image of me being all boho and hippy. It's either that or I'm down on my luck, I've got no money, the work's dried up. Growing up, I thought I'd have at least five kids. I'm not a nutcase. I know that. My 20s were a completely and utterly different time in my life. 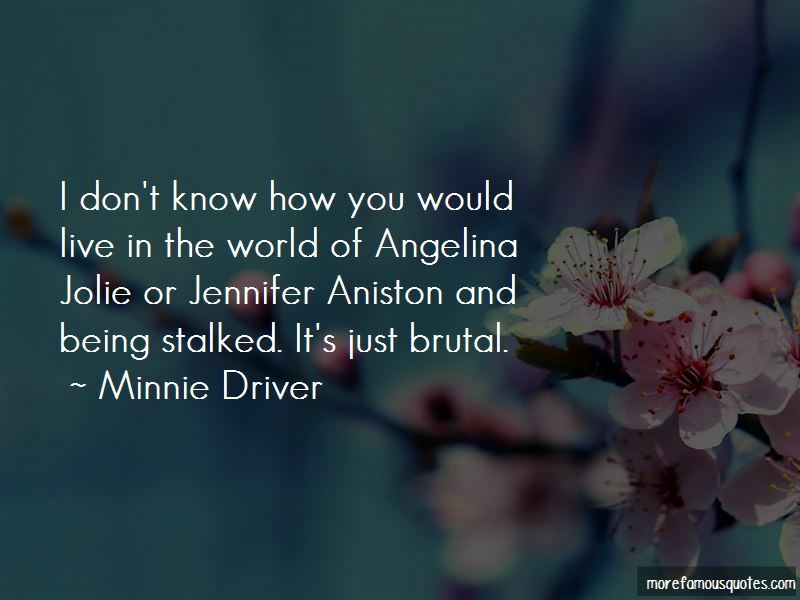 I'd prefer not to be the pretty thing in a film. It's such a bloody responsibility to look cute, because people know when you don't and they're like, They're trying to pass her off as the cute girl and she's looking like a bedraggled sack of potatoes. 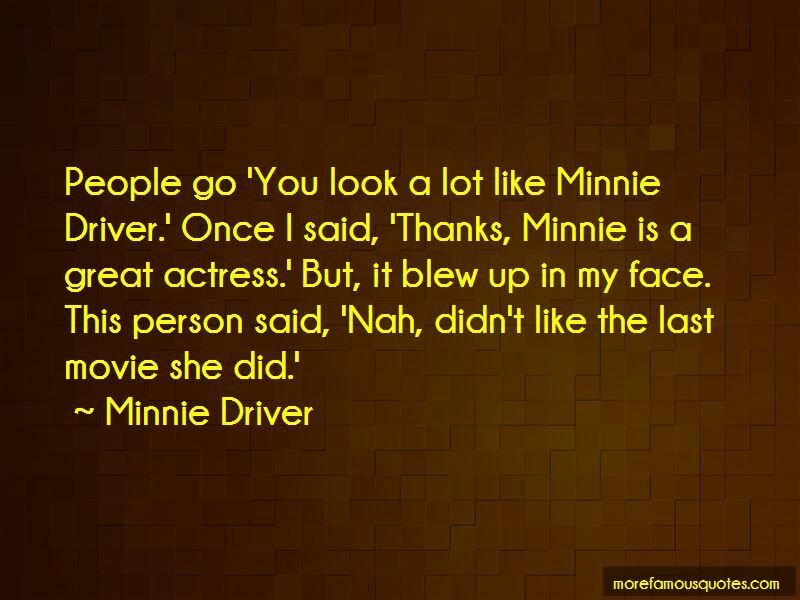 Want to see more pictures of Minnie Driver quotes? 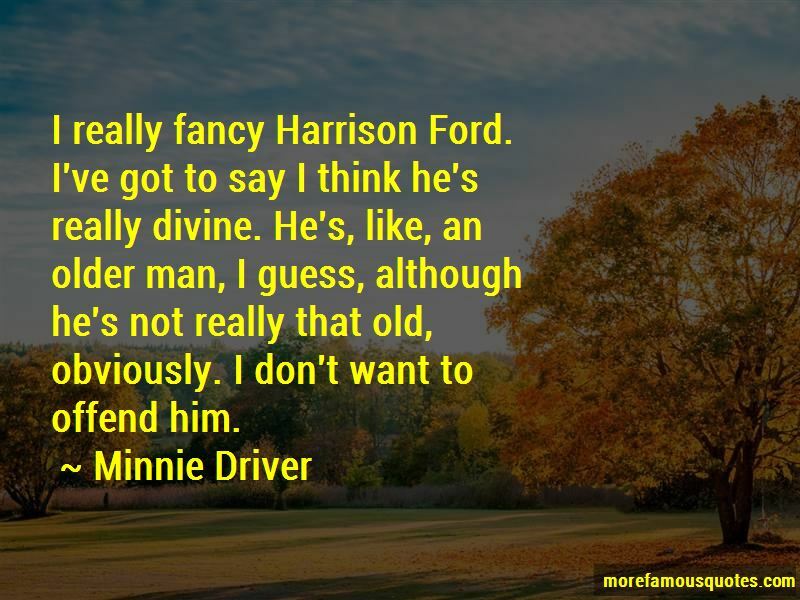 Click on image of Minnie Driver quotes to view full size.